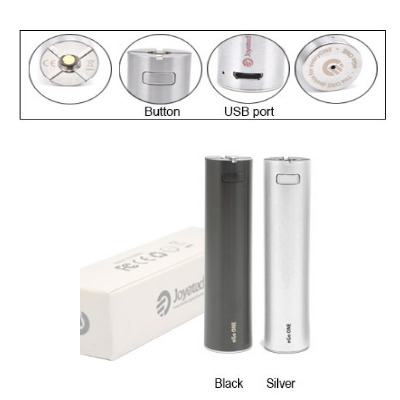 The Joyetech eGo One is a small in size but powerful Sub Ohm Capable Battery. Operating Voltage: 3.3 - 4.2 V.
Size (length and diameter): 85mm x 19mm. When the output > 5 Ohm, the light flashes slowly if you press the button. When < 0.3 Ohm, the light flashes quickly 5 times. Joyetech eGo One XL Battery - 2200mAh.